Quintessentially British design and exquisite craftsmanship combine with the vintage-inspired Emmy London collection. A beautiful ring crafted from 18ct white gold, exuding pure and timeless elegance. A stunning row of sapphires sit upon diamond shaped frames, surrounded by real dazzling diamonds. A secret stone is set upon the inside of the band beside the Emmy London siganture. 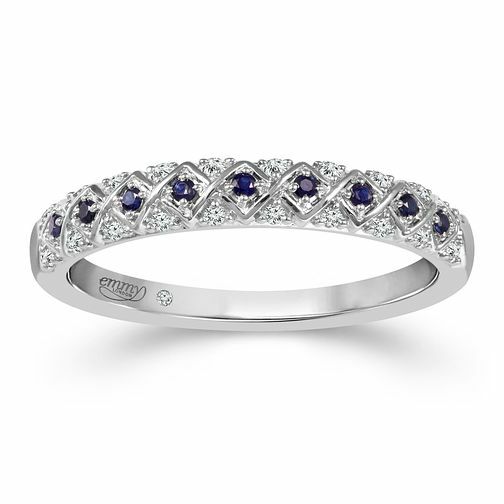 A classic and complimenting combination, this ring has a total diamond weight of 0.07ct.